Well, it's been a long time coming, but now it's officially official. Rockstar has announced Red Dead Redemption 2 and it's coming next Fall for the PlayStation 4 and Xbox One. It looks like we are going to run with the Dutch gang, but won't know for sure until Thursday, when the trailer is released. Needless to say, a lot of us are excited to go back to the Wild West with Rockstar Games. The second game was such an amazing experience so there's high hopes for the third one. I wonder why Rockstar went with a 2 rather than a new title, but that matters little in the grand scheme of things. Developed by the creators of Grand Theft Auto Vand Red Dead Redemption, Red Dead Redemption 2 is an epic tale of life in America’s unforgiving heartland. The game's vast and atmospheric world will also provide the foundation for a brand new online multiplayer experience. 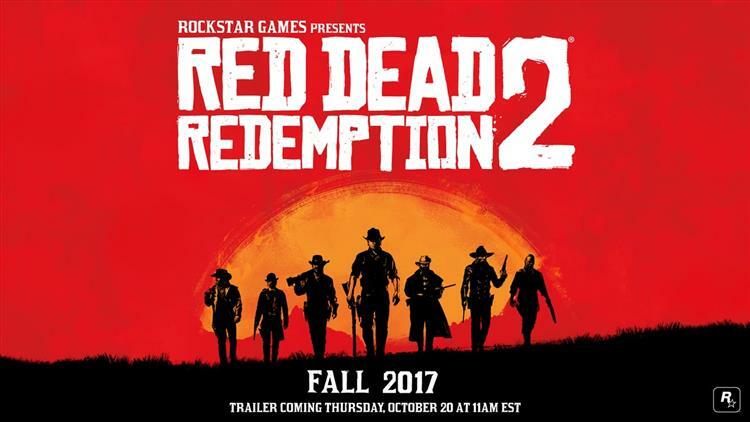 Watch the Red Dead Redemption 2 trailer at 11:00 a.m. Eastern, Thursday October 20that www.rockstargames.com.